Think you don’t have to worry about water damage? Think again, my friends. Water damage can happen to the best of us in a blink of an eye. Most of the time, it happens when you least expect it. A pipe can burst in your home, the washing machine can overflow or it can be as simple as leaving the window open during a storm. After You contact a professional water extraction specialist, Contact Bob A. Haines Carpet Repair to help with the water damage aftermath. All it takes is one phone call and your problems disappear. Who wants to juggle multiple companies and conflicting schedules? We want to make things easier for you not harder. And the best part about us is the person you speak to on the phone is the person you see. You have enough on your plate already. Repairing your damaged carpet can get ridiculously expensive depending on the type of carpet you have and how much of it was damaged. Bob A. Haines Carpet Repair can save you a significant amount of money by repairing your carpet correctly the first time. 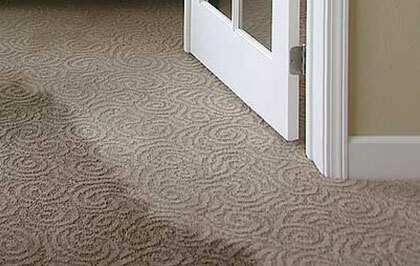 We believe that it is better to repair your flooded carpet than to replace it. This is our philosophy and we’ve built our company around this idea. Our carpet repair specialist are highly trained professionals who will work as hard as they can to make your carpet look good as new. Perhaps the worst nightmare most property owners dread is a flood, be it the result of plumbing failure or even worse, natural disaster. Hopefully, you haven't been the unfortunate victim of flood damage, if you have there are a number of processes and procedures you could follow on your way to mitigating the flood damage. But none of those should be considered given that this is your home and not something that is a do it yourself kind of situation. The professionals at Bob A Haines Carpet Repair know exactly what to do. The flood damage restoration process is a critical one. Performing the right procedures and having the correct materials can help people salvage cherished belongings and even more important, prevent their homes from being condemned. It can happen, we've been doing this a long time and have been witness to it. Bob A Haines Carpet Repair specializes in reducing the effects of water, however, the success of complete water damage restoration depends on the severity of the damage and the amount of water in the home that caused the damage. Bob A Haines Carpet Repair will assess a property and choose a water damage restoration plan. We only use well-documented procedures and high-tech equipment to repair water damage. Got flood damage in basement areas? Luckily that may only require a short restoration process, but damage in other areas of a home may require extensive remedy procedures. If you’re in the Cincinnati–Northern Kentucky metropolitan area it is paramount that you call or email Bob A Haines Carpet Repair as soon as possible after flood damage occurs. Time is of the essence. Moisture undoubtedly assists the growth of harmful mold and other organisms, no doubt increasing the risk for serious, sometimes fatal health problems. Mold exposure can exacerbate asthma and allergy symptoms, typically in children and those with compromised immune systems. Obviously, exposure can also multiply the risk for respiratory diseases and other unfortunate medical problems. So cleaning up immediately will help reduce the health effects of water damage on everyone in your family's home or your business' commercial space.